The trailer for the animated sci-fi film Planet 51. 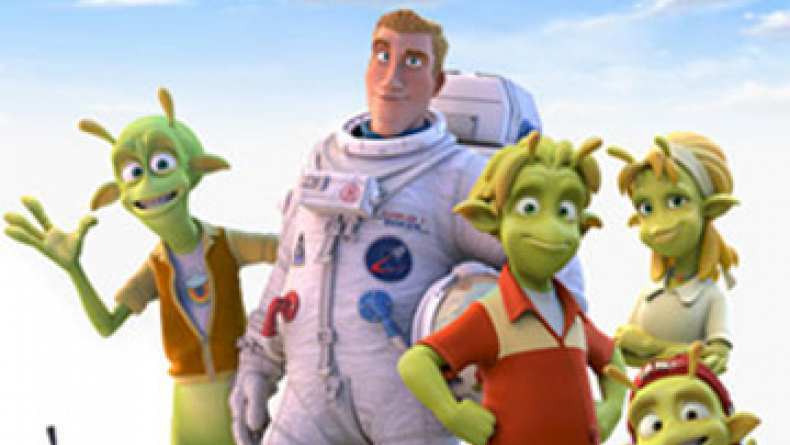 Planet 51 is a galactic sized animated alien adventure comedy revolving around American astronaut Captain Charles "Chuck" Baker, who lands on Planet 51 thinking he's the first person to step foot on it. To his surprise, he finds that this planet is inhabited by little green people who are happily living in a white picket fence world reminiscent of a cheerfully innocent 1950s America, and whose only fear is that it will be overrun by alien invaders...like Chuck! With the help of his robot companion "Rover" and his new friend Lem, Chuck must navigate his way through the dazzling, but bewildering, landscape of Planet 51 in order to escape becoming a permanent part of the Planet 51 Alien Invaders Space Museum. Nov 09, 2009 Where's Your Master? Nov 09, 2009 Can I Get Your Autograph?